Whether you are having the dream wedding of the season or just nipping to the registry office, it’s always nice to involve flowers on your wedding day and we do a lot of wedding flowers at Rose&Mary. 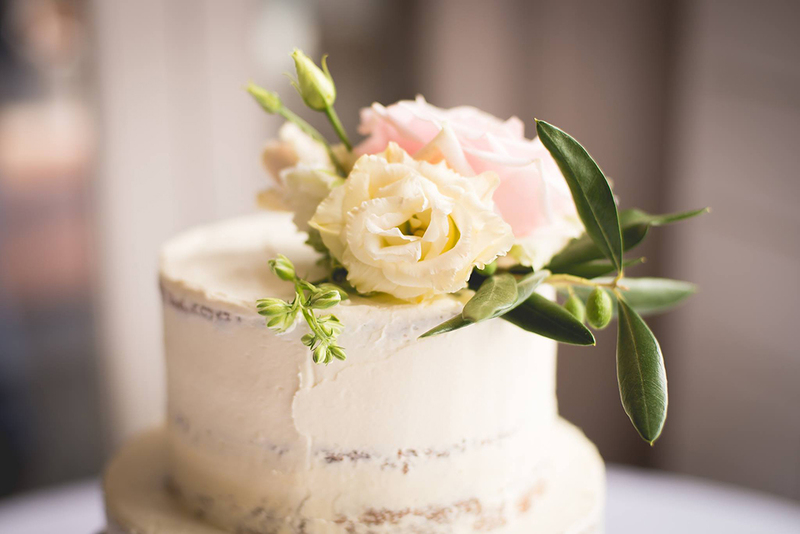 The cost of wedding flowers can vary hugely, but on the whole we can break it down to 3 areas. These are the bridal flowers and include the wedding bouquet, bridesmaids flowers, buttonholes, corsages, flower crowns etc. If you choose a lot of bridesmaids and groomsmen it will be more costly. 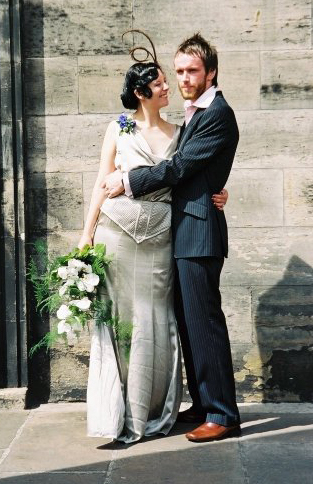 Are you getting married at a civil ceremony or a church? With church flowers sometimes 2 big arrangements and a few pew ends can be enough but a church is a big space to fill so this is an area where the flowers can really add up. There is also an option to reinstall the same flowers at the reception, especially if you are getting married on a week day. 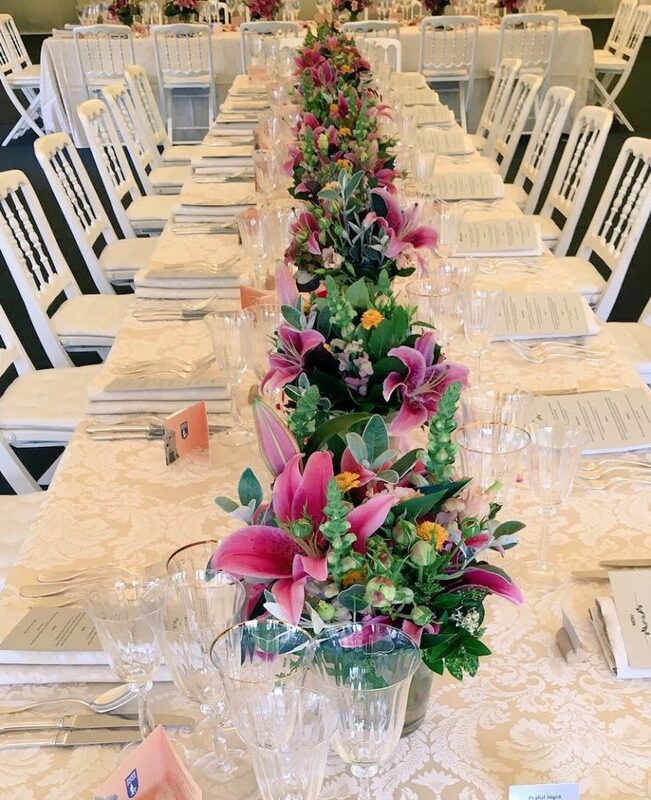 The cost of the flowers for the reception can also vary hugely but on the whole it does depend on how many guests are coming and how many tables need to be decorated. Are you having a top table and variuos guest tables, or is it a buffet style free flowing kind of reception. If there is a formal dinner and you would like tall arrangements where the guests sit underneath that will be much more expensive than a low arrangement. You might want enormous floral chandeliers hanging down from the ceiling, floral arches or other big budget items. With a free flowing kind of reception all you might need are a few jam jars here and there. It all depends on the venue, the formality of the reception and the size of the guest list. Also don’t forget those thank you flowers! 1. Don’t choose a wedding date when flowers are expensive. Its very romantic to get married on Valentines Day but the cost of the flowers will be sky high. The same goes for Mother’s day (not just the one in the UK but international Mother’s Day as well) and around Christmas. Most flowers we use go through the Dutch auction system and it is a supply-and-demand kind of thing. If demand for flowers is high (like around Valentine’s day), the flowers price will rise. If supply is high, like in the summer, the price will fall. It’s that simple. Seasonal flowers are the best quality and the best value for money. Have you ever eaten a strawberry in the middle of winter? Its a bit like that with flowers; expensive and not very tasty. If you insist on peonies or lily of the valley please find out when the best time is to get married to avoid disapointment. 3. Choose larger flowers and foliages. A hydrangea might be £10 a stem but you only need a few stems to fill a vase. Same thing for big headed roses, they might be more expensive, but a few in a rose dome works out more cost effective than a load of skinny ones. Foliages isn’t always green and can compliment flowers beautifully and is a very cost effective way of filling up your wedding flowers (although some foliage is just as expensive as flowers). There are dark shades of maroons to lift up the flowers, variageted foliages to compliment rose domes, silvers to compliment cool colours and bright yellow, brown and red foliages to compiment pastels or to accentuate bright flowers. We typically use around 30% foliage in our wedding work, depending on the wishes of the bride. There are some stunning foliage arrangements on Pinterest to see where the foliage is more dominant then the flowers, but there is a thin line between too much foliage and not enough flowers, the flowers will look a bit lost. There is also a trend of just greeney weddings where mixed foliages are the star of the show and there is not a flower in sight. Here is a guide to the cost of wedding flowers. The cost of the flowers can vary hugely and is always discussed during a consultation. Afterwards an itemised quote is being made which will include a complimentary mood board. Please note that pedestal and vase hire, delivery charge, installation charge, take down charge, return of hired goods etc are not included in the price. These will be discussed during the consultation and added to the quote. If there are more things on your list and you would like to have a chat please feel free to contact us!